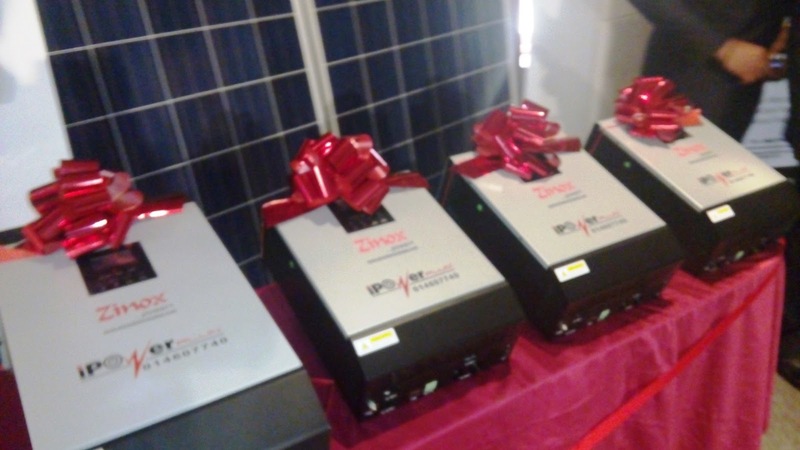 As part of efforts at remedying the power supply situation in the Nigeria, pioneer composite e-commerce outfit in the country, Yudala, has offered a cost-effective two-day special discount sale of iPowerPlus inverters, reports ITRealms. This offer, ITRealms gathered comes with free deliveries for prospective shoppers in Lagos and Abuja respectively. The promotion which commenced on Thursday May 12th till Friday May 13th 2016 offers interested buyers a chance to enjoy up to 15 per cent discount off iPowerPlus range of inverters, solar and hybrid options available in 1KVA to 20KVVA as well as certified long-life batteries. The special discount sale is exclusive to shoppers on the Yudala website and its chain of Experience Stores nationwide. ITRealms recalls that the nation has had to contend with near-total black out after last Wednesday’s bombing of Chevron’s major valve platform around Escravos in Warri SouthWest Local Government Area of Delta State. A militant group, the Niger Delta Avengers (NDA), had claimed responsibility for the sabotage of the crude oil and gas production facility. The attack is coming when work is being rounded off on the 250,000 barrel-a-day Forcados export terminal which was bombed in February. Although ITRealms also reports that some of nation’s power plants run on gas, the federal government as if acting out of the moon, Wednesday proclaimed the deregulation of the petroleum sector with hike in pump price of petrol to N145 per litre. A move, industry observers said has seemingly increased the hardship on millions of Nigerians who rely on petrol-generators to power their homes, offices and businesses. Speaking on this offer, the Marketing Communications Manager, Yudala, Afam Anyika, said, the two-day special discount sales allows Nigerians a leeway out of the power situation. Anyika also affirmed that iPowerPlus inverters possess unique characteristics that sets them apart from other inverters. ITRealms recollects that Yudala took the continent by storm with its bold entry and has successfully expanded the nation’s e-commerce and offline retail space with several innovative strategies including the first ever drone delivery in Africa, Neighbour to Neighbour Mega Deals, Monthly Mid-Day Madness and Yu-jara – Nigeria’s biggest festive season’s sales, and Yudala Mobile Monday among others. Yudala prides itself for genuine products and for being the fastest pay-on-delivery composite e-commerce company in the country.